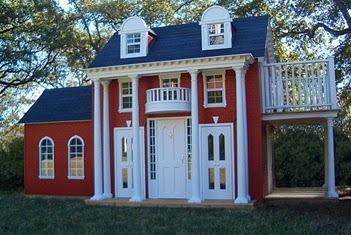 Check out one of our favorite classic outdoor play houses! This is a replica of a full sized home in Houston. The Georgian trim, balconies, door sidelites, and rounded roof dormers make this a timeless classic. We love it!